AGS is working in partnership with the NGO, Planète Urgence, to reduce greenhouse gas emissions, protect biodiversity and promote local socio-economic development. AGS does this through 2 main projects. 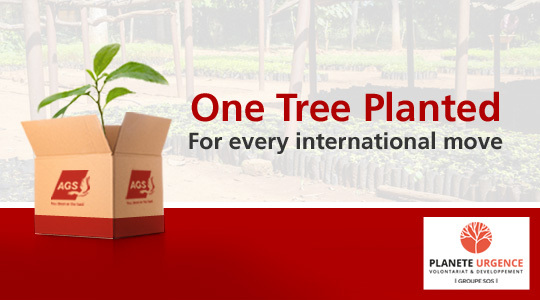 AGS is committed to planting a tree for each international move operation. By the end of 2019, over 240 000 will have been planted. 4 327 342 trees planted in the North Sumatra region. 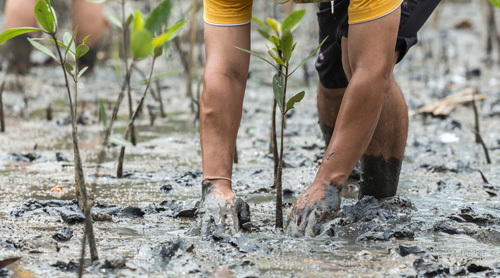 AGS and Planète Urgence are working towards the reconstruction of the mangrove corridor in order to combat global warming and protect biodiversity. 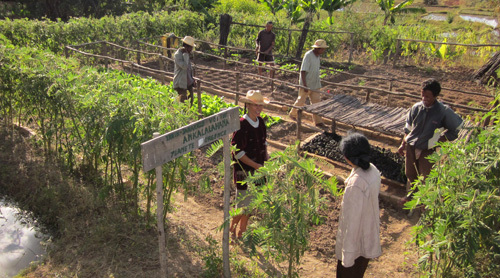 3 898 224 trees planted in the Itasy region near Antananarivo. Answering the urgent need for tapia tree planting while raising awareness of deforestation, providing economic support for local people. A Tree Certificate will be emailed to every expatriate.